"Officers from the investigation team have spoken briefly to Charlie and will be looking to further speak with him in the coming days as they continue to try and establish how he and Dawn came to be contaminated with the nerve agent," Scotland Yard wrote in an emailed statement. As the 45-year-old continues to recuperate, authorities said, "Any contact officers have with Charlie will be done in close consultation with the hospital and his doctors." Lorna Wilkinson, Director of Nursing at Salisbury District Hospital, announced in a statement that Rowley "is no longer in critical condition." She described his condition as serious, but stable. "Charlie still has some way to go to recover, but the progress we've seen so far gives us cause for optimism," Wilkinson added. Russia has denied any involvement in either incident calling the suggestion "quite absurd." On Monday, Kremlin spokesman Dmitry Peskov told reporters, "We continue to be deeply worried by the continuing presence of these poisonous substances on British territory. We consider that it is a danger not only for the British, but for other Europeans." 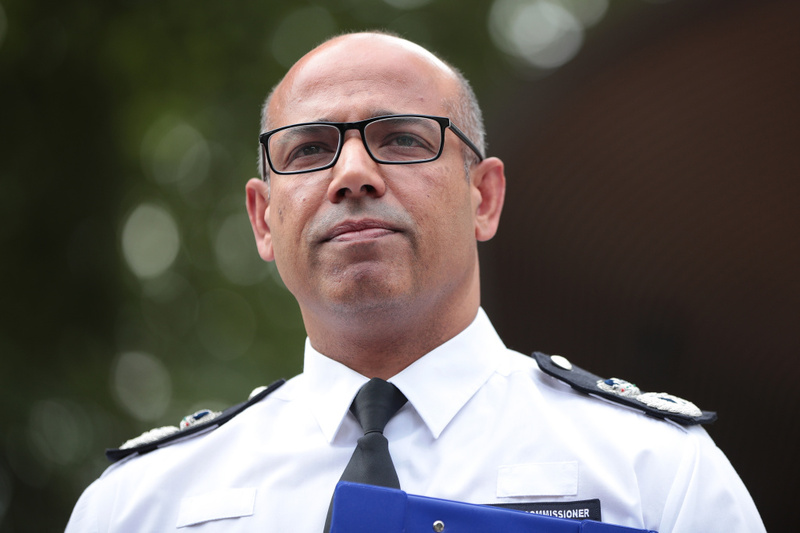 At this stage, Basu said, more forensic evidence is necessary to link the two incidents, but he added, "This is a very rare substance banned by the international community and for there to be two separate, distinct incidents in one small English county is implausible to say the least." Police suspect that Rowley and Sturgess were poisoned after handling a container with Novichok. About a 100 counterterrorism detectives are working around the clock to locate it, according to Basu. He said scientists "will work hard to establish if the nerve agents from the two incidents are from the same batch."